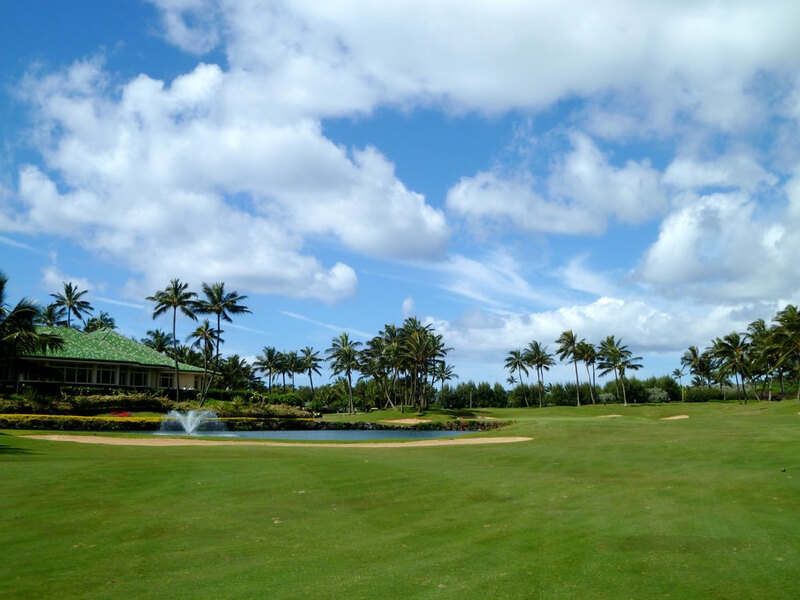 Course Website: Official Website - Visit Poipu Bay Golf Club's official website by clicking on the link provided. 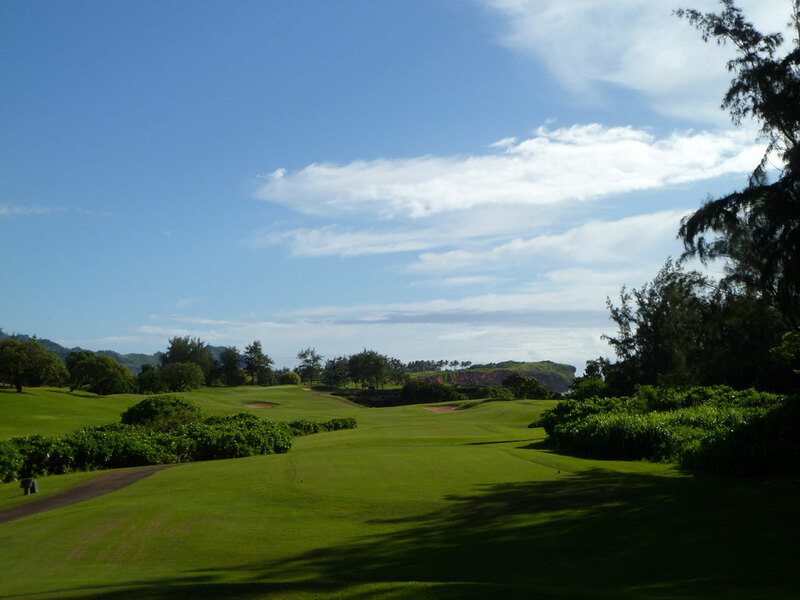 Accolades: Ranked 7th in Hawaii on Golf Course Gurus' Best in State list. 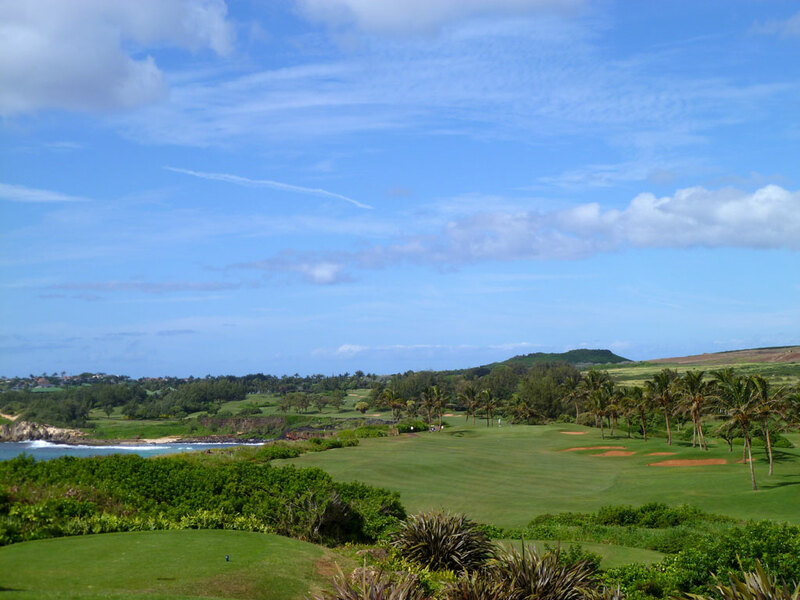 What to Expect: When a golfer visits Hawaii, he naturally expects to have ocean views at some point during the round. 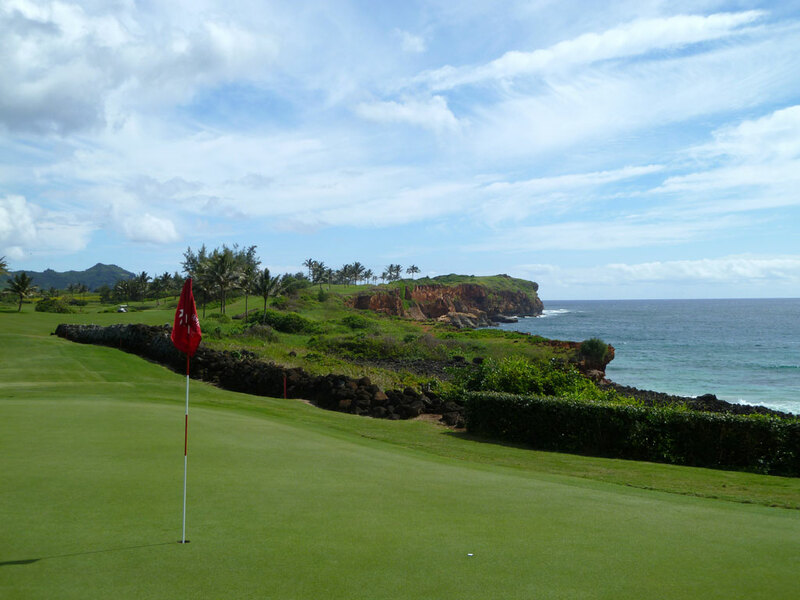 Poipu Bay, located on the south end of Kauai, doesn’t disappoint when it comes to the ocean, particularly on the final stretch of holes that tumble along the cliff edge above the largest water hazard on the planet. The greens were recently redone, stripped, and a new Sea Shore Paspalum hybrid grass planted which provides more consistent playing conditions year round and less maintenance. The opening holes are a gentle warmup in both difficulty and architectural interest. The 7th hole begins to raise the bar as the final three holes on the front are beautiful and increasingly more strategic. The terrain on the back nine enjoys more movement with gentle climbs and descents which leads into the final cliff-side holes that are simply world class. The turf conditions are wonderful and the routing enjoys being framed by palm trees on many of the holes. Robert Trent Jones Jr. took into account the strong trade winds that are prevalent at the property. In fact, a couple of the most difficult holes are under 400 but play several clubs longer when the ocean winds are blowing. In the end, Poipu Bay doesn’t disappoint on any level. 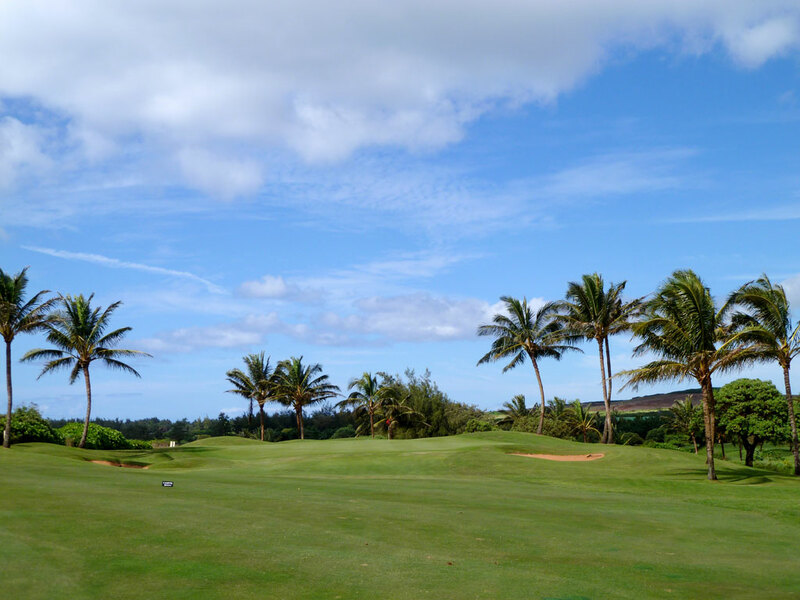 When paying three figure green fees, golfers expect immaculate conditioning, stunning views, and great golf holes – three things Poipu Bay delivers on with flying colors. 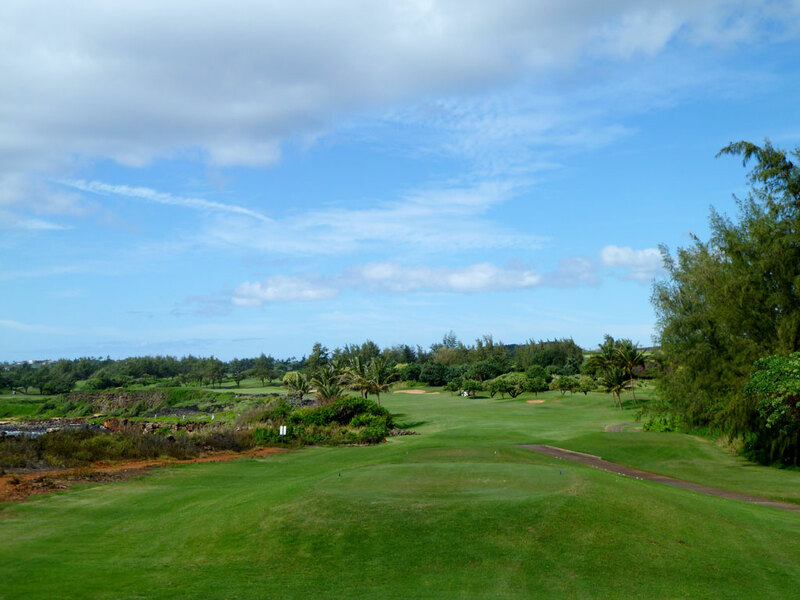 Signature Hole: 16th Hole – 501 Yard Par 4 – The 16th at Poipu Bay is a jaw dropper, plain and simple. 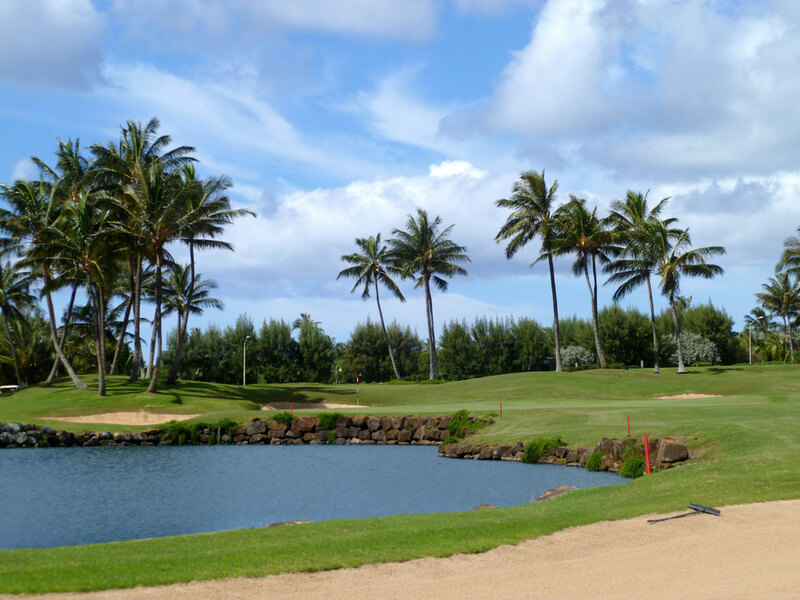 It’s the type of hole you drop big bucks to be able to play while in Hawaii. Dubbed by Robert Trent Jones Jr. as “the Pebble Beach of the Pacific” due to the similarities it shares with Pebble’s 18th hole that also cascades along the rocky coastline, this hole is one of the finest in all of the islands. With the world’s largest water hazard on the left, a pond and two bunkers are found on the right of this downhill, downwind beauty. The green is the largest and most undulated on the property and is protected by a bunker on the right, two bunkers behind, and the ocean on the left. 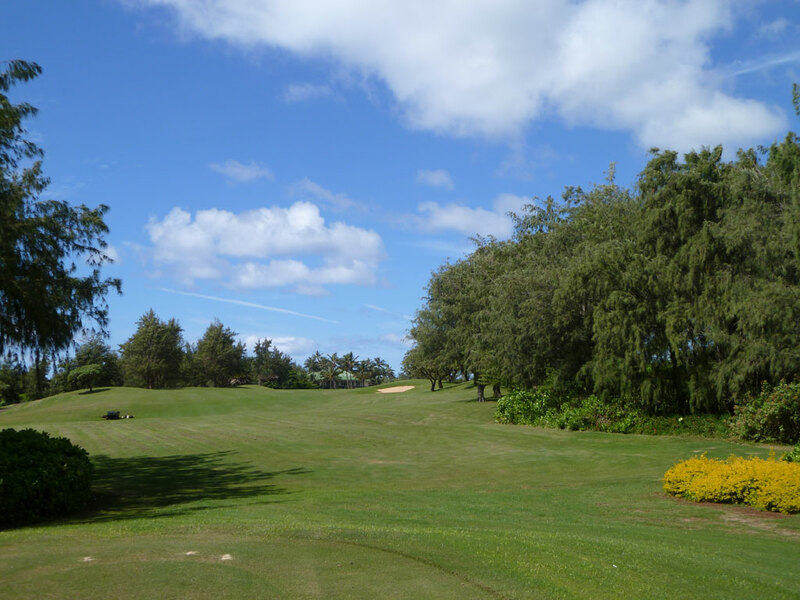 The view from the green back towards the tee with the rugged coastline and ocean in sight is the visual I will draw from my mind when thinking about Poipu Bay’s spectacular golf course. Best Par 3: 17th Hole – 225 Yards – Sporting spectacular ocean vistas, this lengthy par three plays downhill and downwind over a foliage covered ravine to a green that is wider than it is deep. The ocean is off to the left while a bunker sits in front and another one behind the green. Playing a fade into the green or riding the trade winds blowing in from the left will give you the most green on which to hold the putting surface. RTJ Jr. saved the best par three for last with this offering. 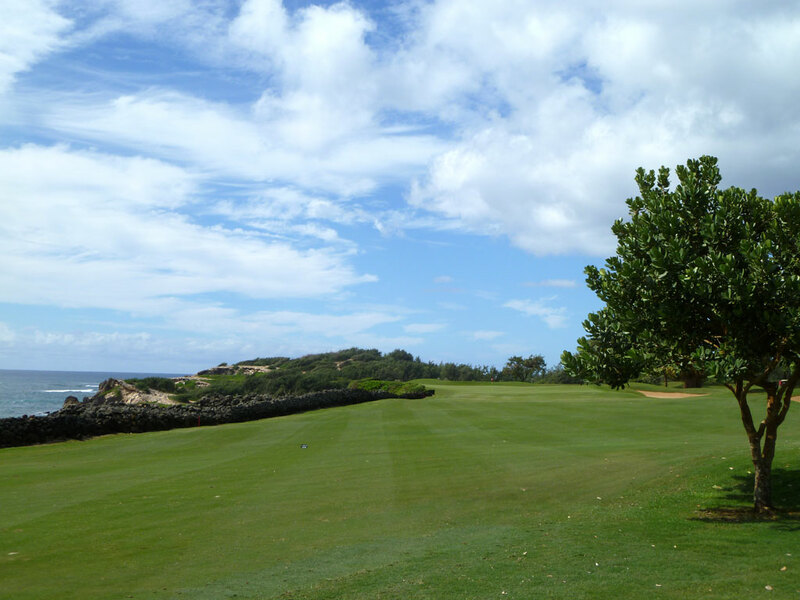 Best Par 4: 15th Hole – 427 Yards – This hole starts an outstanding stretch of the final four golf holes at Poipu Bay. This straightaway hole boasts the ocean to the left and three fairway bunkers on the right. 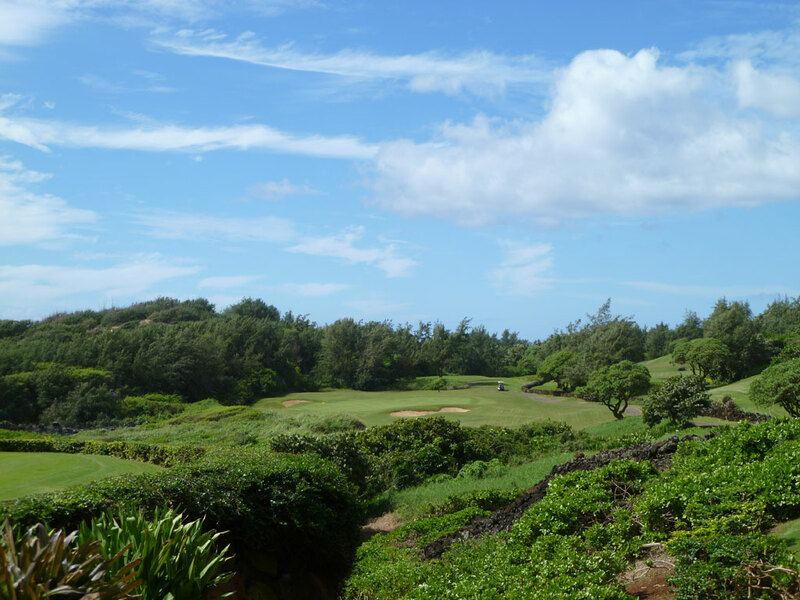 With the staggering Kauai cliffs in view from the tee it can be difficult to keep your focus, but since this hole plays well downhill and downwind you can take less club off the tee and settle your nerves. The fairway is wide and a couple of relatively small bunkers protect the front of the green. This is a beautiful warm up hole to prepare you for the challenging finishing holes. Best Par 5: 18th Hole – 550 Yards – You’ll face an uphill tee shot on the final hole with an aiming bunker sitting on the inside of the dogleg bending to the right. Once you get past the initial dogleg, the hole straightens out and presents bunkers on each side of the fairway along with a pond running from the left fairway bunker up to the green. The bunker features two large bunkers behind the green and a tiny bunker on the right. It’s the right combination of beauty, potential trouble, and a chance to finish with a birdie. Birdie Time: 7th Hole – 179 Yard Par 3 – The signature hole of the front nine is also your best chance to card a birdie. Although protected by a foursome of bunkers and a pond that leaves only long and left as a bail out area, this hole is the shortest on the course which should allow you to take dead aim. 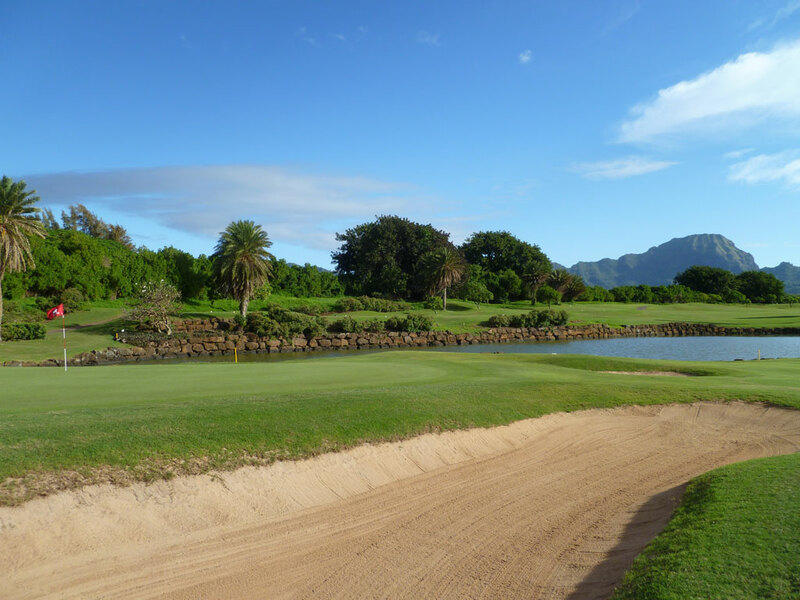 The green slopes towards the water which should allow you to safely play away from the water hazard and work the ball back towards the hole once on board the green. It’s a pretty inland hole that is going to yield some birdies. 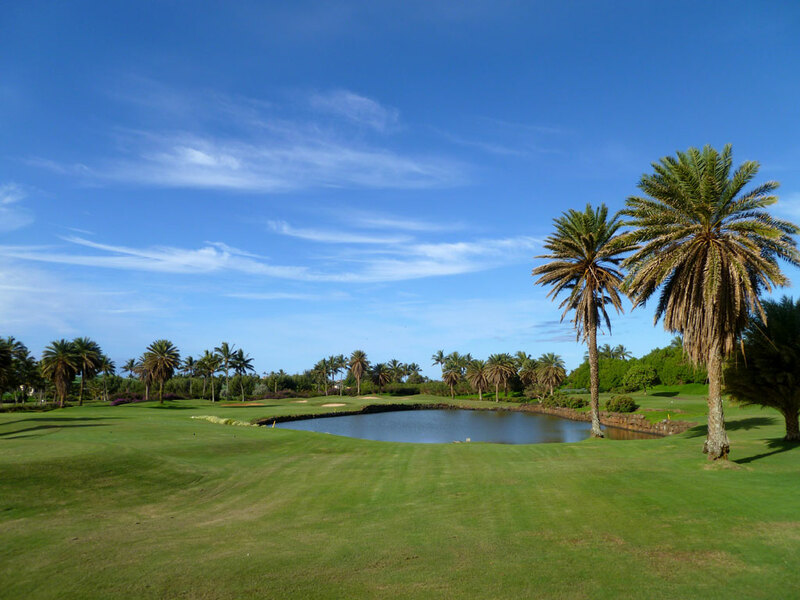 Bogey Beware: 9th Hole – 420 Yard Par 4 – The finishing hole on the front nine plays towards the ocean right into the teeth of the trade winds effectively adding significant length to this 420 yarder. After attempting to thread your drive between the two fairway bunkers that tighten the fairway down to under 25 yards, you’ll be faced with an approach shot to an elevated green that features a bunker below the putting surface on the right. Lastly, the 9th hole hosts an ancient worship site that players are forbidden to enter. With all the potential trouble to find on the 9th hole, you might be happy with a bogey.